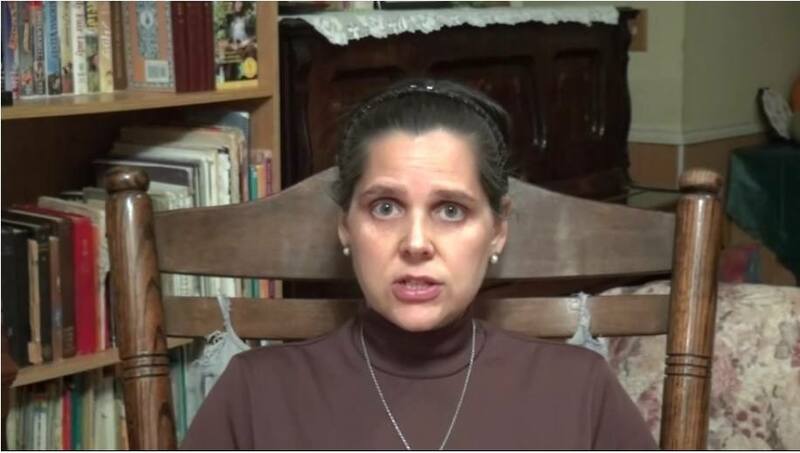 Michelle Stanley, the mother of the 7 homeschool children who were taken away by authorities in Arkansas, spoke to the media this week prior to their custody hearing: "We've been doing the best we can to go from day to day. We can't sleep, we can't eat." She warns Americans that what has happened to them, could happen to anyone in America today. Why don't those 'government officials' take the 'MMS' and leave the children alone??! And who informed them there was 'MMS' in their house? The evil is truly out-of-bounds in this world and I believe we are in the 'end-times'. We will pray for your family and children and for all peoples in danger of these abominations. Lol I'm from a faith healing church....we have always been persecuted by other Christians....in Arkansas. BethD. You are correct about financial incentive. Here is the way it worked in the year 2000 when I had a situation with the Ark. CPS. If you will get a list of all the CPS positions in the state of Ark. Please contact the Home School Legal Defense Association in order to get this family's situation resolved quickly! Obviously you're not from Arkansas where the majority of the population is Christian. We have more churches than schools here. To even say its about Christian persecution is ignorant. I don't know the reasons for the judge to make his decision but I do not feel in any case where teenagers are involved should be judged by one person it is much easier to fool one than many. Teenagers lie and are very hormonal and emotional people. If teenagers feel it will give them more freedom and more individuality they will do anything to achieve that. They are irrational. Once in awhile there is a teenager who doesn't go through these phases and I swear they are the ones judging these cases. This happened to me in Arizona. CPS is evil! Now my son is adopted out to people whom have medical issues them selves and it is down. Right pathetic! I know how it feels losing a child over false allegations! These same people live in different state than me still trying there hardest to get my other to but I won't allow it! I lived in same state but we don't live in same state anymore! Anyway, just wanna let YAll know that I know how it feels! Prayers to the family. Hope You get your children back! this is a clear-cut case of anti-christian bigotry. those children were taken for ONE reason: their family's faith. When there is no longer a financial incentive to place children in foster homes or for adoption, the corruption will decrease. It's everywhere! My sister told her 5 yr old while in a waiting room at doctor that he was grounded from electronics for being disobedient. The following week cod shows up at her house with accusations of abuse! Get this...they asked her, "so if cannot use electronics, how else will he have recreation or learning?" OMG! My sister replied in disbelief, " we have toys and books and a stay at home mom to talk with!!!" Thank God my nephew not taken out of the home but still damage of a record on file now. Ps... My Sis and Hubby foster disabled children (a nurse) and are in process of establishing an orphanage in Gods timing. We believed this type of Cps event to be a dart of the enemy indeed! Pray path is cleared and the much needed orphanage blooms! I called Kathy Finnegan's number (501-767-8550 ), but you want to call this one, instead: 501-767-8836. So far, no answer there, probably because she's in court now. I called the governor's office too, and left a message. Damn this is a messed up situation. I sure hope the court comes out with a decision on the side of justice AND all her children are returned to their family! Praying for wisdom for the judge. That this case be thrown out of court today. And that these children go home with their parents today! The majority of people in government, have had their minds, and theirs hearts seared with a hot iron! And, one day very soon will pay dearly for the pain they have bestowed upon His people! I find this very alarming. I have known of DHS going into a home that was once just a storage building. A one room shack. Where 5 adults, 7 children, 10 dogs, several pigs, and even chickens were living. Yes, all those animals were living in the home. Very deplorable conditions. Animal feces every where. The people were only told that it was too many people under 1 roof and DHS would come back in 30 days to do an in home check. So the family built another shack next to the first one. They ran extention cords for electricity and their dirty water poured out behind the shacks through pvc pipes run through the back wall. DHS saw all of this yet left those children with their family. Something is not adding up with this story. My children love to run outside with out shoes on. Every teenager thinks that they have it so awful, until they grow up and realize how great they really had it. How can so many kids get abused, neglected and have to wade through animal feces in a shack and DHS leaves them in the crap, yet these children are being cared for and they take them. Sad world we live in these days. The family has my prayers! Apparently, the way this family lives and the way their children interact are suspicious because they are RARE in today's world. Praying for all of you Stanleys! Stories akin to this happen all to often from all around the country. Laws need to be put into place to protect abuse/over reach of agencies like DHS. Laws should state unless one is be arrested and tried successfully by a trial of their peers for children abuse children should not be able to be taken from someones home. Please let's pray for this family. They need our support and as many prayers as possible so they can get all their children back. Shame on the people that are behind all of this. Please let's pray for this family. As a mom, there is nothing I would not do for my baby. Shame on them for doing this to this family and families all over the nation. Too many REAL abusive situations go unresolved because their priorities are backwards! Help those who need help, leave the innocent alone. God Bless you good people may your children be returned safely home soon and not abused.